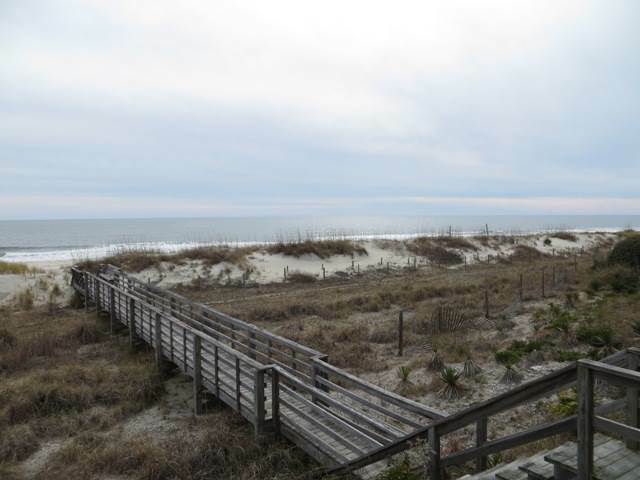 Well loved older beachfront cottage with 4 Bedrooms, 2 Baths, sleeps 12. Fully equipped kitchen with dishwasher, microwave and washer/dryer. Central heating and air plus ceiling fans in all bedrooms. Amenities include 2 televisions with cable television including HBO, DVD player, wireless internet access, telephone with long distance to SC and NC only, high chair, hot and cold outside shower, charcoal grill, sundeck, covered porch with rockers. Come enjoy great ocean views from your oceanfront porch and deck. Private walkway to beach and ocean. Non-smoking. Sleeps 12 Bedding: Double/Single, Double/Single, Double/Single, and Double/Single. Deck is in need of repair as some boards are missing, loose steps, and there are popped nails. The outdoor shower is non-usable as it doesn't drain. Nice location, just needs some tender loving care and updating.